New SHARP safety ratings for motorcycle helmets were published today by Road Safety Minister, Paul Clark. 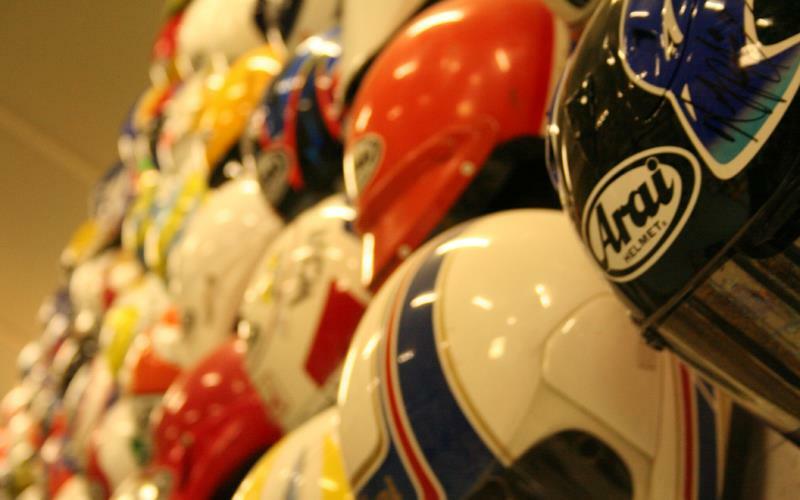 An additional 25 motorcycle helmets have been rated by SHARP - the Department for Transport's Safety Helmet Assessment and Ratings Programme - taking the number of ratings published to 150. In addition to the new SHARP ratings the Department's THINK! campaign is reminding riders to take extra care on winding rural roads when they are out this bank holiday weekend. THINK! has developed new publicity material this summer for distribution by road safety officers and retailers with helpful reminders of how riders can stay safe on rural roads and what they can do to improve their skills. Road Safety Minister Paul Clark said: "If all riders wore the safest helmets available 50 lives could be saved each year. “I am therefore delighted to publish these new SHARP ratings ahead of the August Bank Holiday when many riders will be taking their bikes out for one of the last weekends of the summer. "By providing comprehensive and independent safety information through SHARP and the THINK! Motorcycle Academy as well as reminding drivers to look out for bikes, I hope that we can help to make the roads safer for motorcyclists and see a reduction in the number of needless tragedies which happen each year." Helmets sold in the UK must meet minimum legal safety standards but the SHARP scheme uses a wider range of tests to provide riders with more information on how much protection a helmet can provide in a crash. The objective advice, which includes important guidance on how to select a good fitting helmet, helps riders to choose the safest helmet suitable for them. The SHARP tests - which award ratings of between one and five stars - showed that the safety performance of helmets can vary by as much as 70%. With helmets across a wide price range scoring highly, all riders should be able to find a high performing helmet in a size and style that fits them and at a price they want to pay.